Thank you for visiting my watercolors. 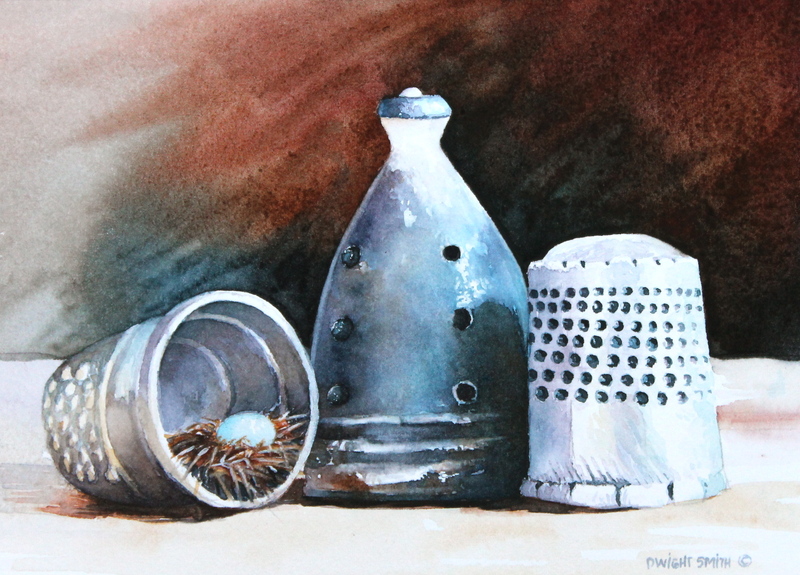 This original watercolor is a still life painting of thimbles with nest. My wife enjoys collecting thimbles and there is always a generous collection to choose from to paint. This watercolor is painted in the realist tradition. I placed in the nest in one of the thimbles to show life in everything and everything you do.